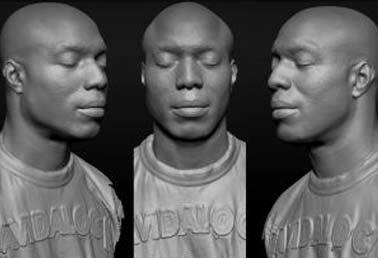 Infinite Realities, based in Woodbridge, Suffolk, creates 3D computer models of human figures for animation by video games developers and film-makers. Founder Lee Perry-Smith has ten years’ experience as a character artist in computer games, working on titles released for the PlayStation 2 and Xbox. He decided to set up his own firm in 2008. Infinite Realities’ clients include leading global games publishers such as EA and Ubisoft, and agencies working on behalf of major consumer brands including Puma and Phillips. Although the model specification was broad, budgetary constraints were tighter, as is often the case for smaller firms. “I gave Models Direct a quote that I’d had from another agency in London and asked them to match it – which they did, really well,” reveals Lee.